Opinion: despite significant improvements last year, architecture's archaic equality problems haven't gone away. The American Institute of Architects' decision to award its 2015 Gold Medal to another mature white man isn't helping, says Alexandra Lange. When I read that Moshe Safdie had been awarded the 2015 Gold Medal by the American Institute of Architects, I groaned online. AIA members, I think you need to ask yourselves: "Does the AIA represent me?" Why? Because after tiptoeing toward the future, American architecture's professional organisation seemed to have reverted to an old playbook. At a moment when some pundits are arguing that architects are bad listeners, while others question the limits of their ethics, and critics and curators find themselves focusing, more and more, on things built that aren't buildings, choosing Safdie, and releasing the inane #ilookup video, neither rallies the troops nor sells architecture to the wider public. What would? I don't know, but I think leadership begins by looking within. 2014 was the first year that the AIA Gold Medal could be awarded to two individuals, after a rapid 2013 campaign to amend the rules following the uproar over Arielle Assouline-Lichten and Caroline James's petition to award Denise Scott Brown the Pritzker Prize – 22 years after partner and husband Robert Venturi won it alone. The 2014 Gold Medal went to Julia Morgan – the first-ever to a woman, albeit one who had been dead for 56 years (previous posthumous medals, for Samuel Mockbee and Eero Saarinen, were given closer to those architects' deaths). Morgan is certainly deserving, but then as now, I thought it was an easy choice, avoiding the politics of choosing a living, breathing woman architect before her male peers. Was the AIA going to spend the next few years redressing historical wrongs? It also seemed to create a new problem: was the AIA going to spend the next few years redressing historical wrongs? Was it too much to hope for first a woman and then a partnership? Dual gold medalists, of whatever gender, would finally acknowledge the reality of so many creative relationships. Surely there was an equally long, if not longer, list of partnerships deemed ineligible for the solo Gold Medal, and Venturi and Scott Brown would obviously be at the top of that list. 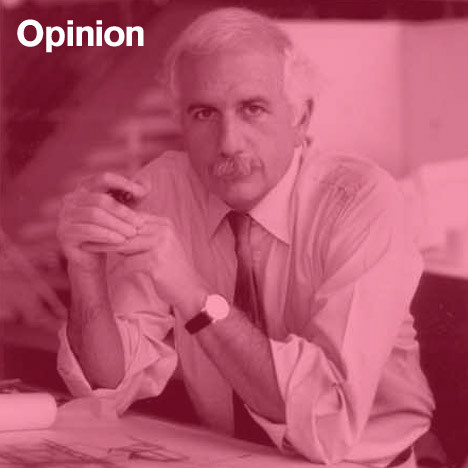 And then in 2015: Moshe Safdie. Architectural Record reported that Safdie, Eric Owen Moss and Venturi Scott Brown – presented by the female half of another sure-to-be-nominated partnership, Tod Williams and Billie Tsien – were this year's finalists, with several rounds of voting required to settle on a winner. Scott Brown placed history ahead of personal recognition by saying the rule change, like the petition, "was the real award". It's nice that she is so mature, but this choice makes me angry. Where are the other architects overlooked? Where are the other partnerships? A healthy set of finalists would have included more than the most obvious of the previously ineligible candidates. Which is not to say no more white male medalists ever; there are plenty of white men overlooked and in partnerships. A correction takes more than a single year. In addition: which of those three finalists has had the greatest influence on American architecture? Venturi Scott Brown by a mile. Safdie's Habitat 67 will be forever anthologised, but more recent work, like the United States Institute of Peace in Washington, DC, "marks yet another low point in Safdie's long descent into repetitive corporate architecture," as Philip Kennicott wrote in 2011. I've visited his Peabody Essex Museum in Salem a number of times and always found the spaces generic and the barrel-and-gable roofline cutesy. Kennicott was kinder to Safdie's Crystal Bridges Museum of American Art in Bentonville, but still hardly inspired: "Safdie's two major buildings in Washington fail because they respect only the people who use them, not the people who pass by or live near them… Crystal Bridges is not so antagonistic a building. But it, too, feels a bit like an acropolis, a small city state devoted to art, not just set in the forest, but reconfiguring the forest to its own liking." On Twitter, Mark Lamster called it a "total train wreck." Reasonable people can differ on the quality of Safdie's work (Witold Rybczynski, for example, thought better of Crystal Bridges), but the hermeticism Kennicott highlights is precisely the problem with the AIA's other December launch: #ilookup, a video and hashtag campaign intended to call attention to how architects contribute to the built environment and spark conversation. It immediately triggered a backlash, also hashtagged, about the way looking up privileges the skyscraper above the street, structures above people and, one might add, the building above the landscape. Visiting ilookup.org, I can't help but notice that, while the video ends on the face of an (unnamed) female architect, the "AIA architects looking up" are previous Gold Medal recipients Peter Bohlin, Thom Mayne and Frank Gehry, alongside AIA 25-Year Award-winner the John Hancock Tower. The nature of what is considered an architectural project has changed over the last few years, and this initiative fails to incorporate that change into its new image. It also fails to incorporate new ideas about practice, as embodied by the line about setting "pencil to paper" in the video. C'mon, is that really how architecture begins nowadays? The petition to get Scott Brown her Pritzker was, on one level, spurred by disbelief, from a new generation of architects, that so little had changed since the day Venturi won the prize solo. Women are still, as one self-critical initiative has it, The Missing 32 Percent. As I wrote in a 2013 Metropolis story, Architecture's Lean In Moment: "The more we talk about the state of women in architecture, the more the state of architecture itself begins to sound rotten. For it to be sustainable as a profession, more than its treatment of women has to change. Women need to learn to ask for raises, but so do architects of their clients… Raising wages at all levels of the profession would increase diversity and add flexibility: unless architects lean in to clients, the profession as a whole is in danger of being marginalised. In other words, social design begins at home." Luckily, some small groups and individual AIA chapters are taking leadership around equity, money, and working conditions. As Emily Grandstaff-Rice, 2014 president of the Boston Society of Architects told me: "There's an undercurrent between generations, with millennials not wanting to do overtime. They have different expectations for work-life balance. If you are early in your career and don't want to do overtime, it blows the whole model up." She points out that paying overtime is not just about fair pay for extra hours of work – it helps firms keep better track of which projects are taking way more time than expected, lest they disappear into lost nights and weekends. The Architecture Lobby is focusing on remaking architecture from the first job onwards. The group, founded in late 2013, wants to redefine architecture as work like any other, not a do-what-you-love, no-matter-the-cost calling (a mantra about which Jacobin Magazine wrote, "its real achievement is making workers believe their labour serves the self and not the marketplace"). They plan to distribute a pledge at student job fairs this spring, asking the soon-to-graduate not to work for firms that don't pay overtime and have unpaid internships. "We want students to know that something like this is unfair," says Peggy Deamer, one of the organisers. "And we are looking for offices to sign the pledge that they will not follow these practices." Architecture Lobby had hoped to include a third plank in their platform setting a threshold for minimum acceptable salary, based on the cost of living in different cities. But for this they ran up against the Sherman Anti-Trust Act, under which the AIA has already been sued twice by the government for price-fixing, once in 1972 and once in 1990. "There is some disagreement about whether the AIA National conservative reading is right," says Deamer, "but it hovers over salary discussions." The AIA could use its membership and institutional authority to get more significantly behind The Missing 32 Percent Project, initiated by Rosa Sheng, a senior associate at Bohlin Cywinski Jackson, and supported by AIA San Francisco. That project has sponsored three symposia, and a small 2014 survey of 2,289 participants on workplace participation and career progression. Having this data is key to creating a threshold for productive discussion about setting new, research-based standards for reasonable work hours, fair pay, and benchmarks for gender and racial diversity within firms. American architecture needs the equivalent of the rigorous CUT multi-year research project Equity and Diversity in the Australian Architecture Profession: Women, Work and Leadership, which produced both the frank Parlour blog and a set of recommendations for reform, but we are years behind. In the meantime, the first step toward change in practice is for architects with a decision-making role in their firms to look at how they – or is it you? – are doing. Are women and men at the same level being paid the same? How diverse is your office, but also, how diverse is the pool that comes in for interviews? Do you pay overtime? Do you have unpaid interns? If I worked for you, would you think less of me if I left at six? Yes, I'm suggesting a New Year's resolution for you: an energised, open, responsive and engaged architecture profession starts with the desk next door. Alexandra Lange is a New York-based architecture and design critic. She was a Loeb Fellow at Harvard's Graduate School of Design for academic year 2013-2014 and is the author of Writing About Architecture: Mastering the Language of Buildings and Cities as well as the e-book The Dot-Com City: Silicon Valley Urbanism.